“We are looking forward to owning a home that my children can grow up in; a home that is for us, with no problems. We are very thankful and truly appreciative to partner with Habitat for Humanity!” said Steven Espinoza. (Redlands, CA) The Ribbon Cutting and Dedication, of Habitat for Humanity’s, San Bernardino Area’s newest home in the high desert city of Hesperia is Sunday, October 13th from 2:00 to 5:00 pm. “After we cut the ribbon, the Espinoza family will move into their new home,” said Dennis Baxter, executive director for Habitat for Humanity. Steven and Jessica currently live in Colton in a small house that they share with relatives. The house is overcrowded, poorly insulated with no heating, and the septic system is inadequate to handle the number of residents in the house. Steven and Jessica are the parents of two children, son age 6 and daughter age 2. 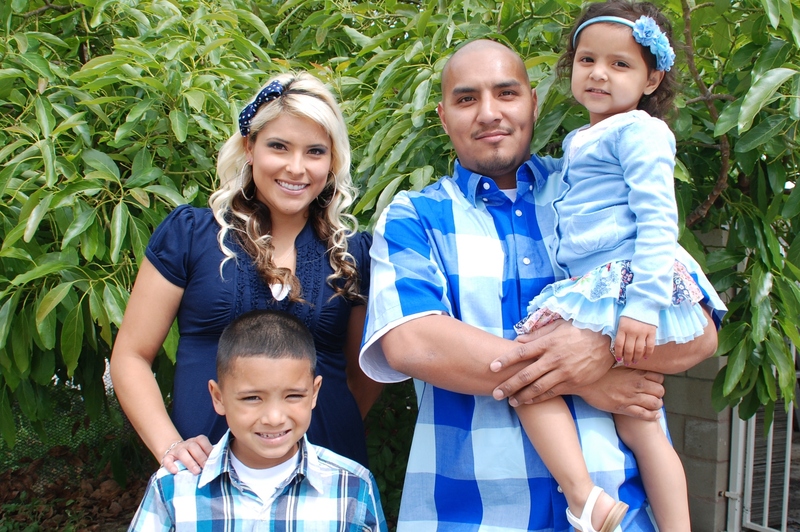 The Espinoza family is so excited about the prospect of owning their own home. Jessica spends some of her sweat equity hours in the Habitat ReStore! “The house is a great fit for the four-member Espinoza family. It sits on a half-acre lot great for the kids to play and to entertain family and friends. The front yard is a low maintenance, xeriscape with 150 sq. ft. of grass for the kids to play on,” said Baxter. For more information or if you would like to attend the Hesperia House Dedication please call Habitat for Humanity San Bernardino Area at (909) 478-1176. To find out more about Habitat for Humanity, call 909-478-1176 or visit www.HabitatSB.org. In the next post will share with the site I used to buy my gazebo. We also ask you to LIKE us on Facebook at www.facebook.com/SBReStore.